Franklin Theatre - David Archuleta Christmas Show - SOLD OUT! 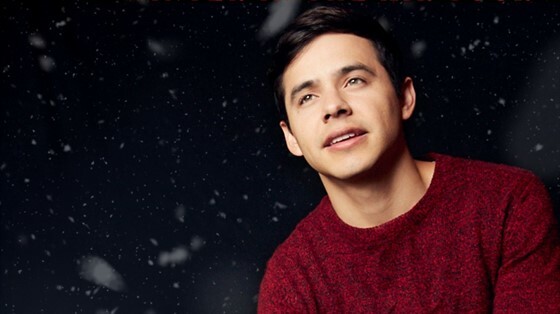 David Archuleta Christmas Show - SOLD OUT! VIP MEET & GREET PACKAGE - SOLD OUT! At 6 years old, Archuleta, who grew up on a steady diet of musicals like Les Misérables and Evita, developed a love for singing as a way to find solace in the comfort of his backyard. Before long, family, friends and neighbors started to notice, and at 9 years old, coaxed by the promise of free quesadillas, he was singing for crowds at a local restaurant. And in 2007, when the then-16-year-old (now 26), appeared on American Idol, the world started noticing. Receiving 44 percent of nearly 100 million votes, the shy, fresh-faced vocal prodigy was runner-up on the hit show’s seventh season, finishing behind David Cook. David Archuleta is pleased to offer a special VIP Meet-and-Greet package. The VIP Meet-and-Greet package is limited to 40 ticket holders. You must have purchased a regular concert ticket to obtain a VIP package (number of VIP packages purchased may not exceed number of seats purchased). This will be verified at the time of purchase.